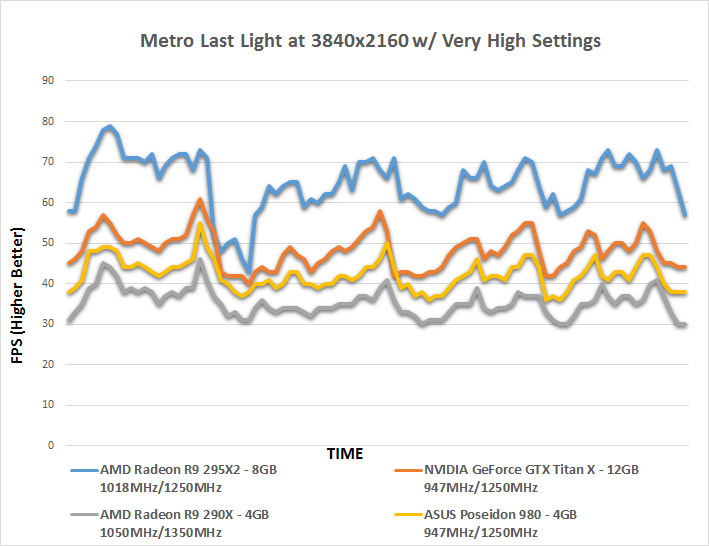 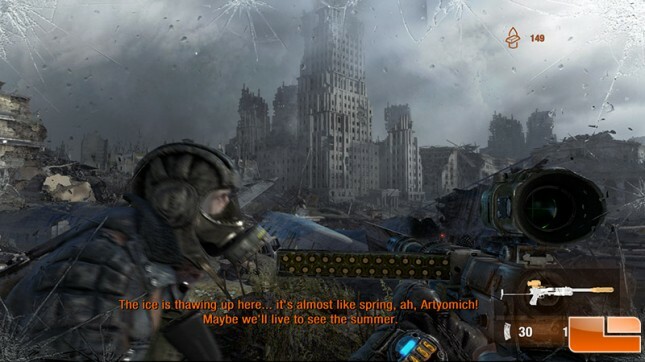 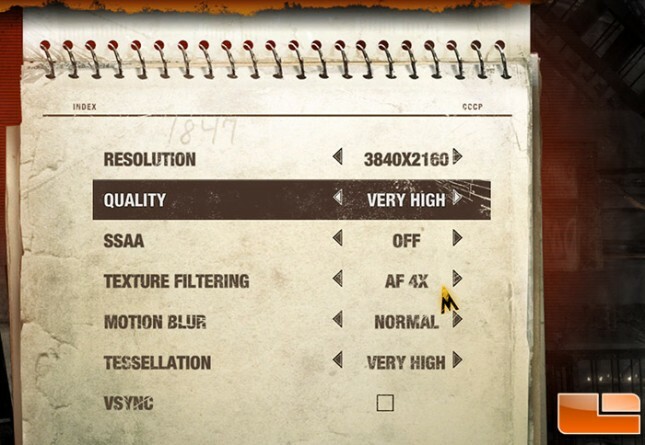 Benchmark Results: In Metro: Last Light the GeForce GTX 980 averaged of 39.41 FPS and the GeForce GTX Titan X came in at 48.34 FPS in stock form. 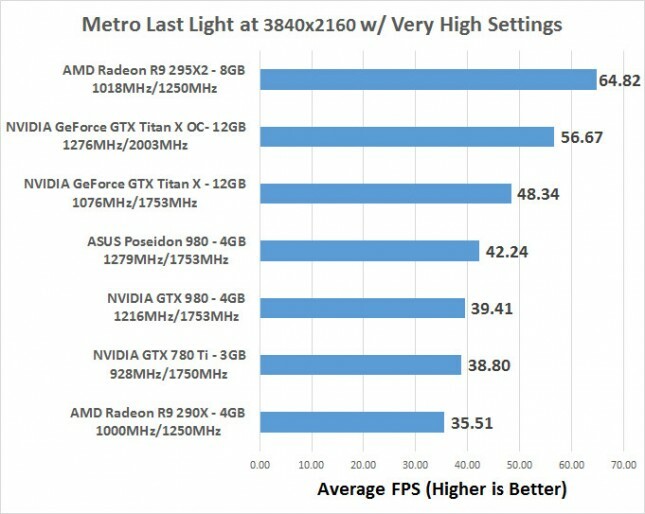 The AMD Radeon R9 295X2 came in at 64.82 FPS and not even the impressive 56.67 FPS average on the overclocked Titan X could touch that. 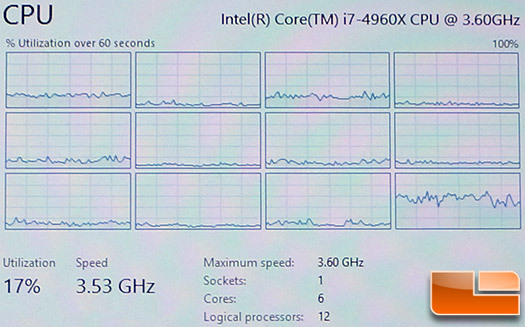 Benchmark Results: The AMD Radeon R9 295X2 had a pretty large 30 FPS dip in our benchmark run, but for the most part nothing was seen that is out of the ordinary here! The NVIDIA GeForce GTX Titan X was able to run Metro LL above 40FPS for the entire benchmark run and we played through part of the game without any issues on our 4K setup.